I'm sure if you went at the right time, all of the houses would have laundry drying outside. Heisann !Japan? Could be my neighborhood! Very unique look into your world, it ain't much different than most suburbs for sure. Thanks for sharing. 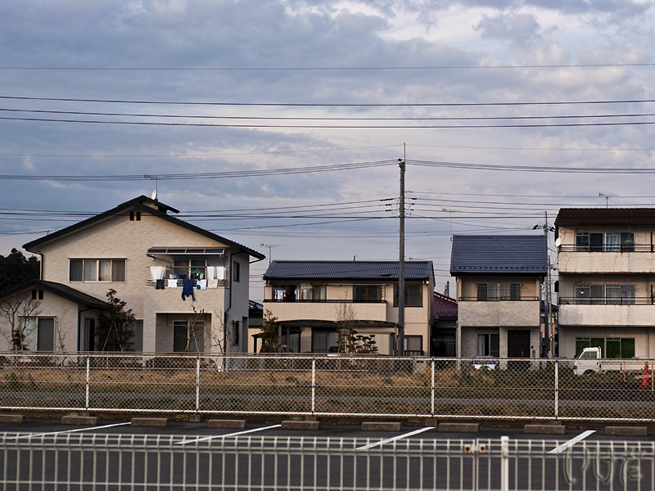 It is interesting for me to see what Japanese suburbia looks like. thanks for sharing a glimpse of suburban Japan. enjoy SWF! In Malaysia and Singapore, people hang their laundry in their balcony. Here in Auckland most houses have a rotary clothes drier. Except we don't have pretty bonsai trees in our yards! Nice in a different point of View...sky is nice too. Thanks for sharing your suburbia. Happy skywatching.